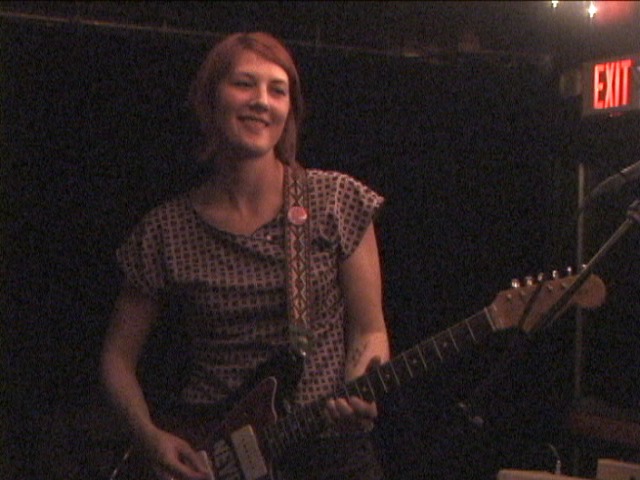 As one of the leading lights on NYC's thriving indie-pop scene The Besties have long been on my list of bands to shoot. However one way or another I've missed them over the years, partly because they have a tendency to play obscure parties in Brooklyn lofts. Finally a rare visit by Michigan's Icicles brought them out of the woodwork after a 5 month hiatus, bearing a brand new 7 inch no less. 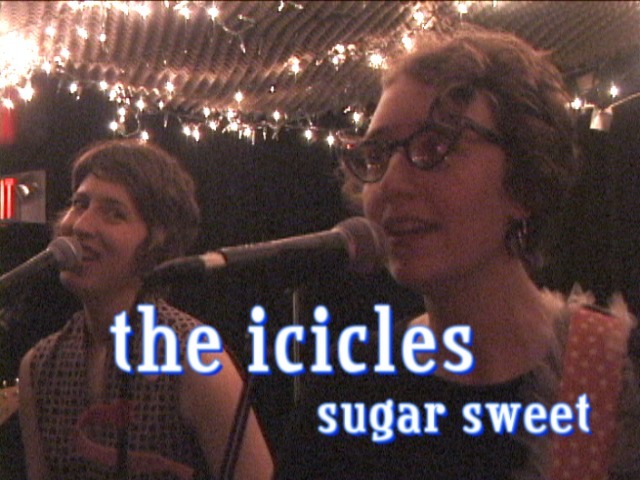 The Icicles also have a new CD out, which is no doubt what led to their current trek. Onstage they have the collective mien of a bunch of kindergarten teachers. The songs are mostly love ditties. A solid rhythm section sandwiches a layers jangly rhythm guitar and 60s style stringy organ. The icing is three part harmony vocals. The cherry on the top is the sparse picking lead of recent addition Rebecca Rodriguez, who is also an absolute pleasure to watch as she interrupts her slinky move with self-conscious smiles directed at the band. I've picked their hit from last year 'Sugar Sweet' (first clip) which they dedicated to the Cake Shop itself, a venue they reminded us NYCers we are lucky to have. The Besties are a deal less twee, more down to earth. they are noted for their well crafted songs. Their sound, with a recently added drummer, is piano vs organ, with sweetly distorted guitar lines. The two girls in the band trade vocal duties, with a distinct early 60's tint. 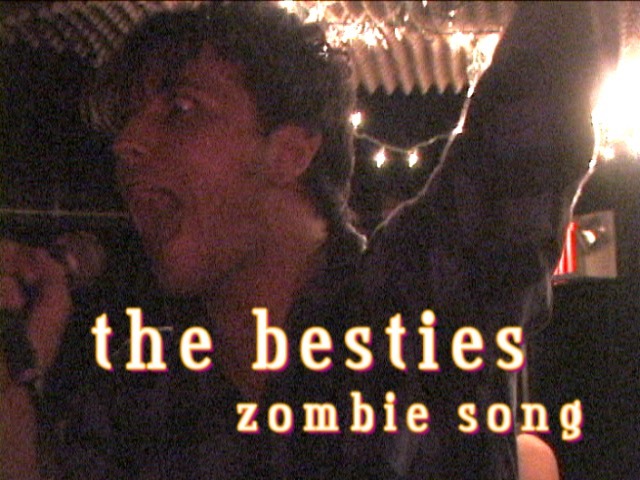 'Zombie Song' (2nd clip) is a crowd favorite, given an updated treatment, while 'Man Vs Wild' (3rd clip) is brand new - a girl vacillates on her newly single status..
Clicking the images will take you to the clips on YouTube. The h.264's are iPod-ready. There is a combined DVD. The Icicles have a new CD 'Arrivals and Departures' out on Microindie. 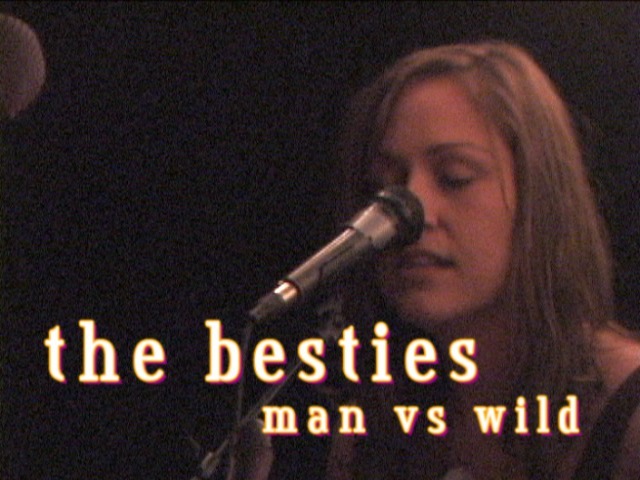 The Besties 7" can be gotten from Hugpatch Records.